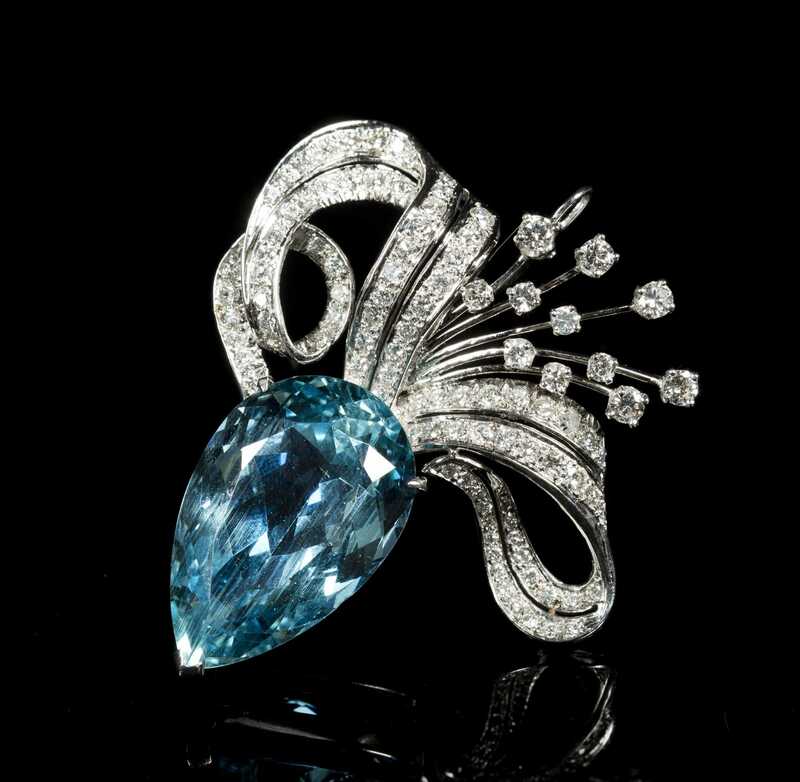 Aquamarine, Diamond and 14kt. White Gold Brooch, marked. 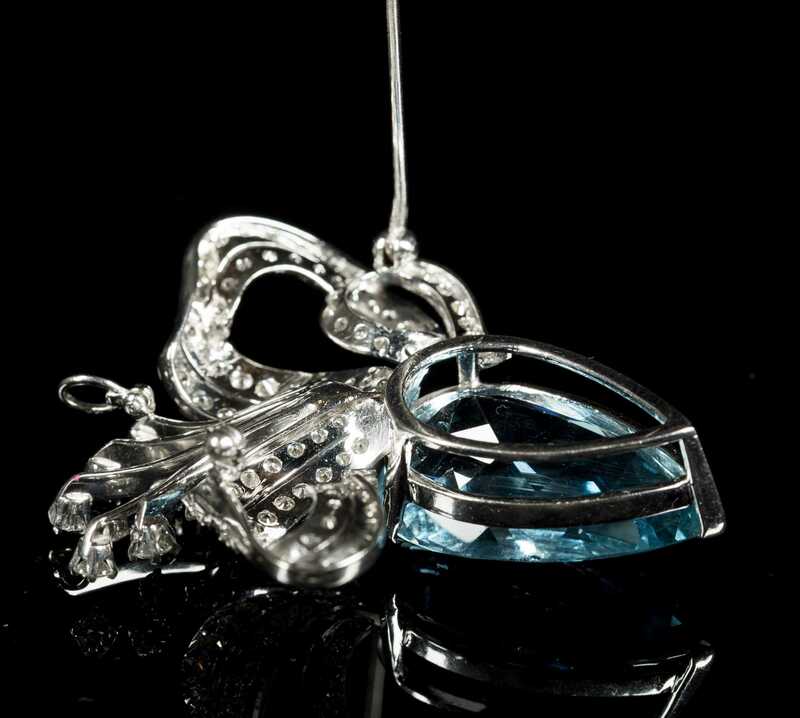 Quite large aquamarine teardrop set in white gold with pave and set diamond flourish above. 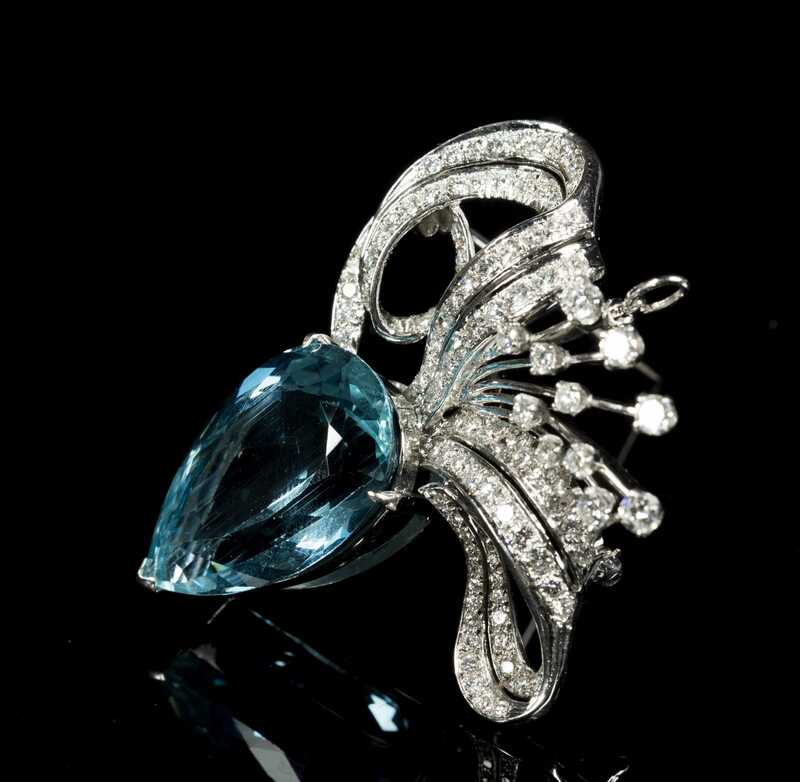 Aqua is slightly loose and needs minor work from jeweler. Diamonds are clear and bright. 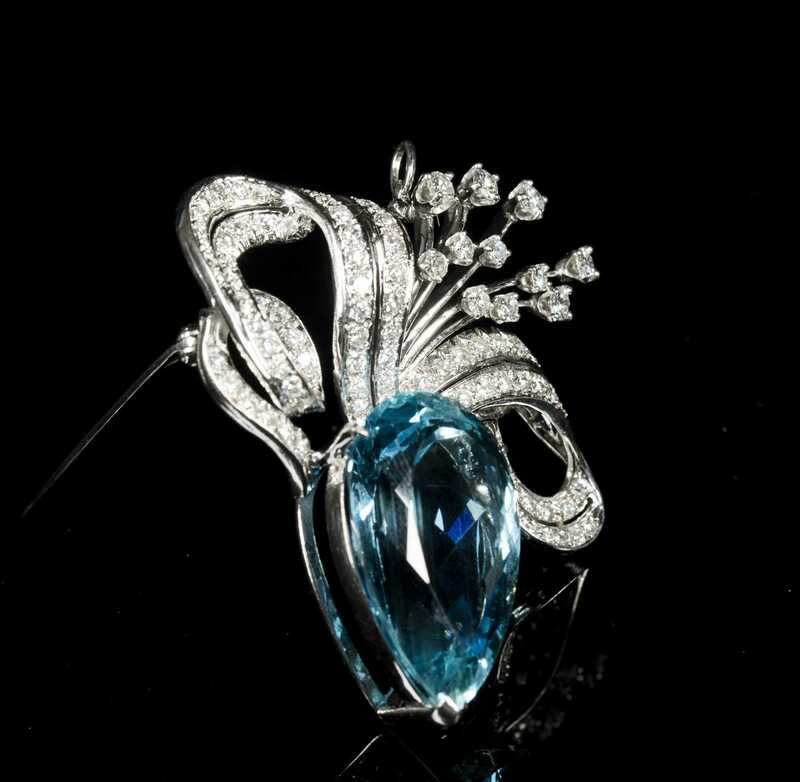 The brooch also has a bail and can be worn as a pendant. Total weight 24.5g, total length including bail is approx. 2 1/4".